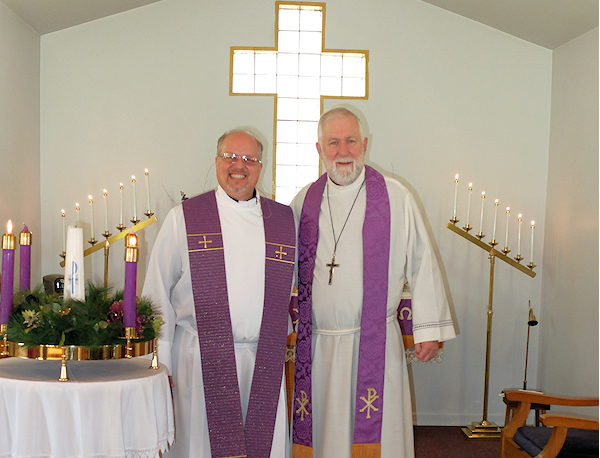 Faith Evangelical Lutheran Church is by God's grace a truly orthodox congregation in doctrine and practice. Midweek Prayer Vespers are held at 7:00 PM on Thursdays. During the summer months we may not have Vespers so please contact the church for details. For information on other occasional services, please contact our Pastor or the church. The primary work of God through Faith Evangelical Lutheran Church is the preaching of the Word of God in its purity, the administration of the Sacraments according to the Gospel, the religious instruction of youth and adults, support of missions, and giving Christian witness. Faith is currently being served by Pastor Ross Mahan, who has a regular, Divine Call from Faith Evangelical Lutheran Church publicly to preach, teach, and administer the Sacraments. In these last days of sore distress, in which even so-called Lutherans "will not endure sound doctrine" but will rather have their ears tickled with what they want to hear (II Timothy 4:3-4), we offer by God's grace a clear alternative; and we eagerly invite your further inquiries concerning our church. Communicant membership is established by a transfer from a congregation already in our fellowship OR by profession of faith after a period of instruction in the chief articles of Christian doctrine.